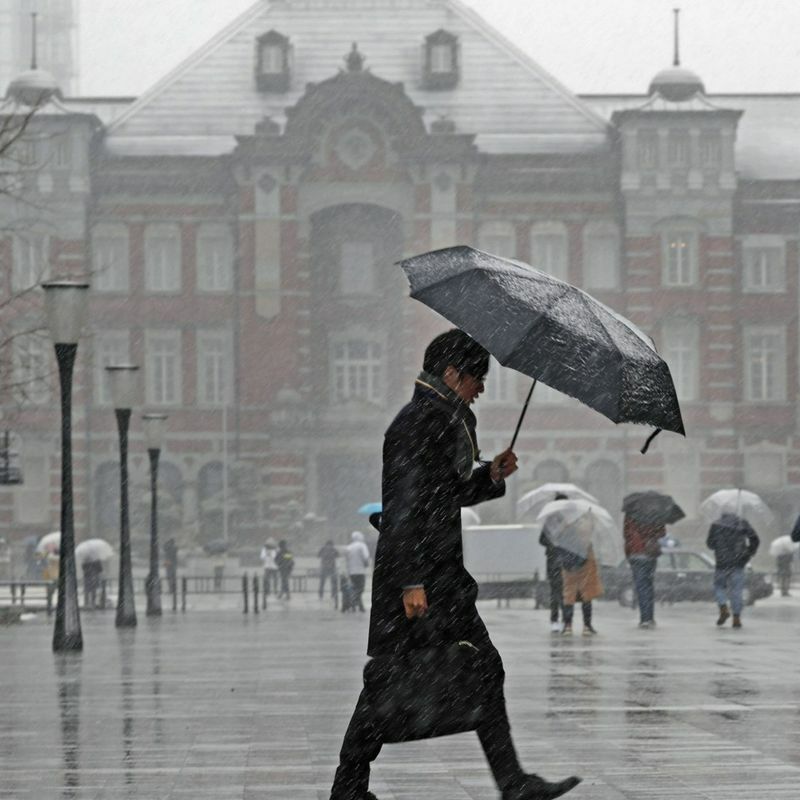 TOKYO - A cold snap hit Tokyo and vicinity Saturday, causing cancellations of more than 100 flights to and from the Japanese capital despite lower-than-expected snow totals. One centimeter of snow was observed as of noon in downtown Tokyo where temperatures fell below zero due to a cold air mass. 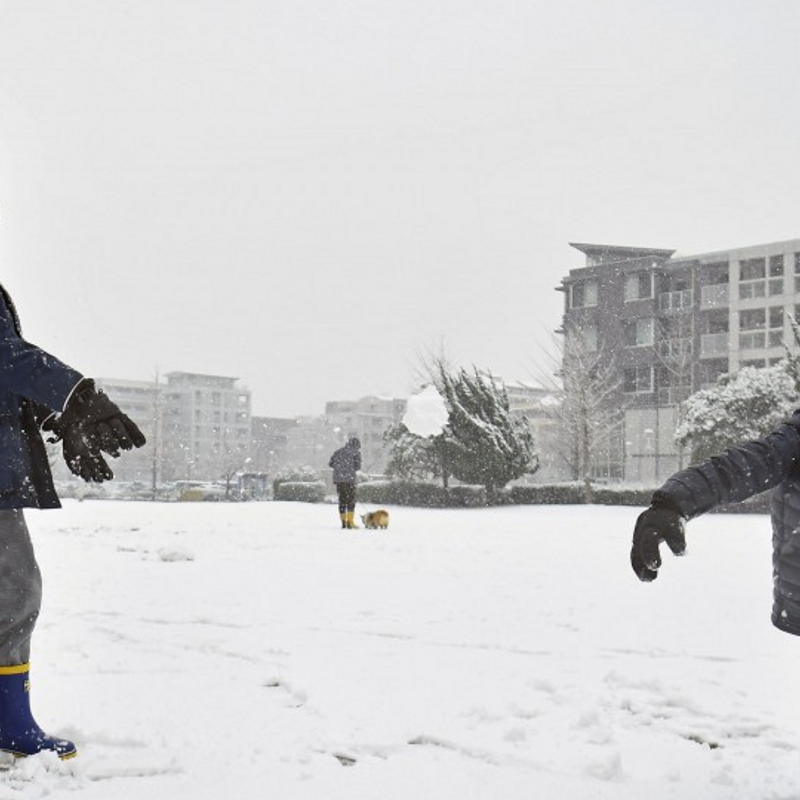 The weather agency initially forecast an up to 5-cm snowfall but later said heavy snow was not expected in Tokyo and its adjacent prefectures of Kanagawa and Saitama. But the Japan Meteorological Agency still warned about icy road conditions as low temperatures will continue at least through Sunday morning. Japan Airlines Co. and All Nippon Airways Co. canceled more than 100 flights as of noon Saturday into and out of Haneda and Narita airports servicing Tokyo. At Narita airport in Chiba Prefecture, east of Tokyo, the operator repeatedly closed one of its runways to clear it of snow. Snowfall of up to 2 cm was observed in parts of Chiba. Cold weather continued to hit Hokkaido, the country's northernmost main island, on Saturday with the mercury dropping below minus 20 C at many locations, including Rikubetsu, where the temperature was recorded at minus 31.8 C, according to the agency.